On the 20th Anniversary of the UN Convention on the Rights of the Child, November 20, 2009, one organization is prepared to support rights-holders by helping them to easily understand and access their natural privileges. 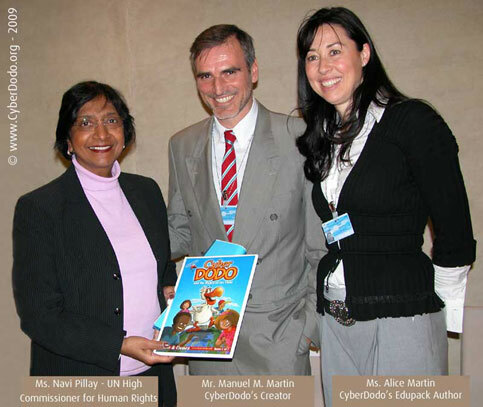 CyberDodo.org or (.com), a multi-platform, interactive, digital space for children, championed by an animated Dodo (CyberDodo ®) inspires daily young people and their adult caregivers to protect the rights of children. CyberDodo is leading the charge to inform and empower youth on the issues that matter most to them by providing free access to smart and engaging audio-visual and print material. The multilingual, edutainment website, currently available in English, Arabic, French and Spanish, offers multimedia content, including 10 hours of cartoons, games and files, and is complemented by a book publication, or Edupack, available to schools and those without Internet access. 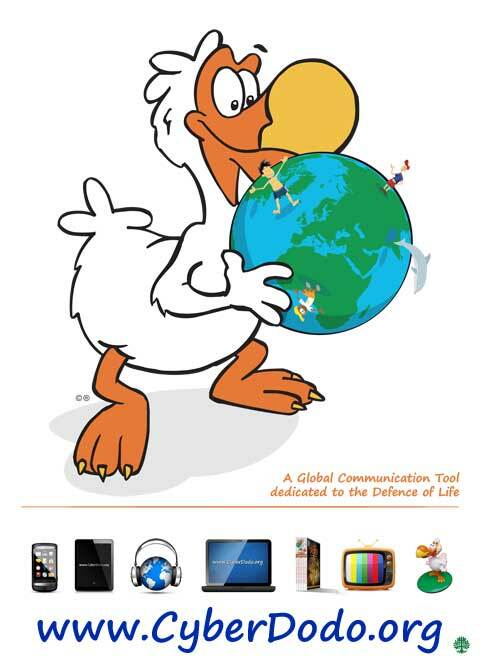 CyberDodo, the animated character and Universal Ambassador promoting the message of the Defense of Life is free of any and all affiliation related to race, gender, religion, politics or social level. It is this unbiased approach to the mission of human rights that allows children of all nationalities and identities to access the information needed to achieve their unalienable rights. The social networking website, connected to 2 billion people, provides an easy and fun way to introduce children to their basic rights and gets them involved in promoting the issues. Created by Manuel M. Martin, a father of four boys, who chose to sell his successful international architecture firm to afford full commitment to advocating the interests of children and environmental sustainability has dedicated the last ten years to this ground breaking project because Today, millions of children suffer in a planet in danger and each year the situation further deteriorates. CyberDodo has become a major non-commercial source of information for children, parents, educators and all other entities involved in encouraging the rights of children. Promoting child specific needs and rights in a way that children can easily understand by using the latest in new media technology and traditional print publications, CyberDodo is a global education tool helping to connect and inform all communities about the pressing situation endangering the world's children and the environmental state of our planet. 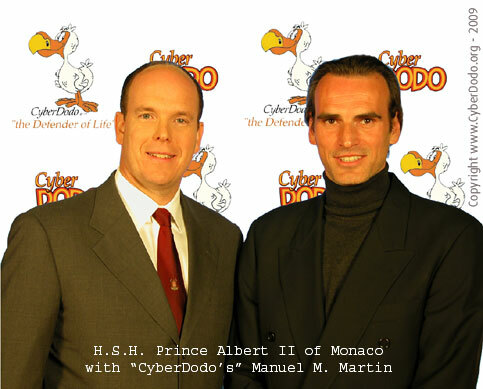 Our spokesperson is not actually a person but a Dodo (CyberDodo®) who came back to earth so that the tragedy suffered by his kind would never again afflict another species beginning with the young of humankind. CyberDodo® is a universal ambassador free of any and all affiliation related to race, gender, religion, politics or social level. With multiple sources of information, CyberDodo® inspires children and also interests their parents and even grandparents who recognize their own values among those being promoted. For whatever purpose it may serve, we remind you that this coming November 20, 2009, the United Nations' International Convention in the Rights of the Child the treaty signed by the most number of countries, will celebrate its 20th birthday.... a reasonable age to expect that all children everywhere can demand that the commitments undertaken by adults as concerning them be finally respected ! promotion a specific needs and rights of children is a global education to all an educative thanks for organizing dodo com.